INTRODUCTORY TEXT: The Constitutional Chamber of El Salvador’s Supreme Court considered the Amnesty Law adopted after the non-international armed conflict between the Farabundo Martí National Liberation Front (FMLN) and governmental armed forces, and found it to be unconstitutional. The Court argued that the Amnesty Law - which granted full and unconditional amnesty to everyone who participated in the commission of a political offence connected to or as a consequence of the armed conflict - was in breach of IHL. The Supreme Court reasoned that Art. 4 (2) of Additional Protocol II – which sets out a list of acts that are prohibited “at any time and in any place whatsoever” – implicitly barred any of the listed acts from being covered by such an amnesty. As a consequence, the Supreme Court argued that the term “broadest possible amnesty” in Art. 6 (5) of Additional Protocol II needs to be interpreted so as to take into account the international commitments of El Salvador, including the respect for IHL, as reflected in Art. 144 of its Constitution. Case prepared by Silvia Scozia, LL.M. student at the Geneva Academy of International Humanitarian Law and Human Rights, under the supervision of Professor Marco Sassòli and Ms. Yvette Issar, research assistant, both at the University of Geneva. The purpose of these joined constitutional proceedings […] was to have this court declare the General Amnesty Law for the Consolidation of Peace (hereinafter referred to as the “1993 Amnesty Law”) unconstitutional on account of formal flaws and because of flaws in the content of Articles 1, 2 and 4 (e) thereof,which were allegedly inconsistent with Articles 2, paragraphs 1 and 3, 12, 85, 131 (26th case), 135 and 144, paragraph 2, of the Constitution, read with Articles 1, paragraph 1, and 2 of the American Convention on Human Rights, Article 2, paragraph 2, of the International Covenant on Civil and Political Rights and Article 4 of Additional Protocol II to the Geneva Conventions of 12 August 1949, and Relating to the Protection of Victims of Non-International Armed Conflicts (hereinafter referred to as “Protocol II”). “Art. 1. Broad, absolute and unconditional amnesty shall be granted to all persons who in any manner have taken part in the commission of political offences, ordinary offences in connection therewith and ordinary offences committed by a number of no less than 20 persons before 1 January 1992, whether or not sentence has been passed on these persons and whether or not proceedings have been initiated for the same offences, this pardon being granted to all persons who have been the direct or intermediate perpetrators of, or accomplices in, the aforementioned offences. Pardon under this amnesty shall be extended to the persons referred to in Article 6 of the National Reconciliation Law contained in Legislative Decree No. 147 of 23 January 1992, published in Official Journal No. 14, Volume 314, of the same date. Art. 2. For the purposes of this Law […] offences committed by reason or in consequence of the armed conflict shall likewise be deemed to be political offences, irrespective of political status, membership of a political party or political affiliation or ideology. e) Amnesty granted under this law shall in all cases extinguish civil liability. Amnesty […] is a measure which, just as it may further the achievement of the purposes of the Peace Accords at the end of an internal armed conflict, may also become an obstacle to the attainment of these purposes, since it prevents not only the prosecution of those responsible for ordering or committing crimes against humanity and war crimes constituting serious violations of international humanitarian law (IHL), but also redress for victims, thereby leading to impunity for such offences. […]The Salvadoran Constitution, while recognizing amnesty, lays down that it may be granted solely by the Legislative Assembly “for political offences or ordinary offences committed in connection therewith or for ordinary offences committed by no less than 20 persons” […]; this may not be interpreted unconditionally or in a manner that is incompatible with the Constitution – especially the provision recognizing the right to life and personal safety and the right to their preservation and defence (Article 2) and the provision which prohibits the granting of amnesty for violations, infringements or breaches of the Constitution (Article 244). Nor may the principles and provisions of international law or international jurisprudence be contradicted. The National Reconciliation Law of 23 January 1992 […] provides that “persons who, according to the report of the Truth Commission, have participated in serious acts of violence since 1 January 1980 [...]” may not be amnestied. The aforementioned provision was repealed by the General Amnesty Law for the Consolidation of Peace, approved on 20 March 1993 […]. The aforementioned provision is not absolute and unconditional, since it must be construed in light of other international provisions embodying obligations to respect and safeguard fundamental rights, which therefore restrict the scope and effects of amnesties declared in post-conflict situations. Hence this provision must be interpreted restrictively and confined to acts of war of the parties to the conflict and not encompass grave and systematic violations of constitutional rules and international law, such as crimes against humanity and war crimes constituting serious violations of IHL. Accordingly, even “the broadest possible amnesty” to quote the express terms of Article 6, paragraph 5, of the above-mentioned Protocol II, may never be an absolute, unlimited and unconditional amnesty, since its widest ambit is always limited by what is “possible”, which must be determined in each and every political process aimed at implementing this measure. In order to delimit the potential coverage of an amnesty law, it is essential inter alia that the legislator take into consideration the constitutional and international commitments incumbent on the State of El Salvador when implementing human rights treaties and international humanitarian law with a view to effectively protecting fundamental rights and eradicating impunity. In accordance with Article 144 of the Constitution, this Chamber considers that the “fundamental guarantees” of “humane treatment”, and the prohibitions provided for in Article 4 of Protocol II in order to guarantee the protection of the life and other fundamental rights of civilians and other especially protected persons during internal armed conflicts constitute obligations stemming from a peremptory norm of customary international law and international humanitarian law which applied during the armed conflict in El Salvador. It must be noted that Protocol II [...] is part of the law of the Republic and was in force throughout the armed conflict. Consequently, failures to comply with, or the widespread and systematic disregard of, these obligations, prohibitions and “fundamental guarantees”, must be deemed to be serious violations of international human rights law and international humanitarian law which, since they are prohibited “at any time and in any place whatsoever”, including during armed conflicts, may never form the subject of an amnesty, since they are not among the possible circumstances provided for in Protocol II. 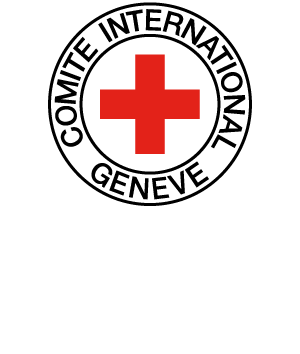 Under the terms of the above-mentioned provision of Protocol II, and in order to set limits to an amnesty, conduct amounting to any kind of failure to give effect to the aforementioned guarantees and prohibitions and which has been widespread or systematic must be considered to be a crime against humanity or a war crime constituting a serious violation of IHL, as the case may be, even though it is or was otherwise qualified in domestic law at the time of its occurrence. Accordingly, the criminal prosecution of such international crimes cannot in any way be said to reflect adverse retroactivity, since along with the existing treaty obligation to abstain from such conduct, it was also qualified beforehand in the corresponding criminal legislation, so that those responsible for, or the direct or intermediate perpetrators of war crimes and crimes against humanity, were in a position to realise that their conduct was an offence and that they were under an obligation to refrain from it. The criminal law classification of offences must therefore correspond to the law in force at the time that they were committed, even though, on account of their characteristics and context, they also come under the international category of war crimes, crimes against humanity or international crimes which are not subject to the statute of limitations. […] The grounds for unconstitutionality, namely the alleged incompatibility [...] will be analysed below. In accordance with the scope of the fundamental rights on which the applicants rely and which are analysed above, this Chamber considers that this objective and subjective extension of amnesty is contrary to the right to judicial and non-judicial protection (Article 2, paragraph 1, and Article 144, paragraph 2, of the Constitution, read with Articles 1, paragraph 1, and 2 of the American Convention on Human Rights, Article 2, paragraph 2, of the International Covenant on Civil and Political Rights and Article 4 of Additional Protocol II), because it prevents compliance with the State's obligations to prevent, investigate, prosecute, punish and redress serious breaches of fundamental rights. As a result of this decision, in particular, the above-mentioned Article 6, paragraph 1, of the National Reconciliation Law of 1992 will re-enter into force, insofar as it excludes from the scope of amnesty the acts and persons investigated in the report of the Truth Commission. […]Given that amnesty in itself is recognized by the Constitution and by IHL (Article 6, paragraph 5 of Protocol II) and constitutes a useful and vital tool for peace and national reconciliation in order to guarantee the legal certainty of persons who, in accordance with the Constitution, may be covered by the 1993 Amnesty Law, it must be understood that the amnesty will continue to apply to and must continue to protect only those persons who have not participated in acts constituting crimes against humanity and war crimes constituting serious violations of IHL, committed by either party under the cover of an organized apparatus of power, as defined in this judgment, without effect upon the criminal responsibility of the perpetrator – as a direct or indirect offender or of persons giving orders – as intermediate authors. As a result of this international obligation to ensure the effective legal suppression of crimes against humanity and war crimes, it is well settled that States' joint and customary recognition that statutory limitations do not apply to such offences has been raised to the level of a peremptory principle of general binding international law (jus cogens), irrespective of whether it has been incorporated in specific conventions or in domestic law, that is to say without there being any need for a specific link deriving from a given international treaty. Moreover, it is important to emphasize that, with regard to humane treatment and fundamental guarantees, the above-mentioned Additional Protocol II to the Geneva Conventions, ratified by El Salvador in 1978, established prohibitions applying “at any time and in any place whatsoever” which must be respected in internal or non-international armed conflicts . The foregoing may be construed as meaning that these prohibitions and their legal consequences, consisting in the possibility of criminal prosecution for non-compliance therewith, have been in force “at all times”, which signifies that there are no restrictions deriving from expiry dates set by municipal law to the statute of limitations for the respective acts. This means that, in the case of acts excluded from the scope of amnesty admissible under the Constitution, a precise set of international legal rules is in force in the country, in particular international humanitarian law, which prior to the armed conflict in El Salvador established the non-applicability of the statute of limitations to offences prohibited by Article 4 of Additional Protocol to the Geneva Conventions of 1949. For this reason, no prescription limits may be set for the prosecution, punishment or proceedings which are or would be fitting for acts prohibited by Article 4 of Protocol II, and on which [limits] reliance might be placed in order to prevent investigation, prosecution and punishment, or the serving of a sentence, in such cases as it has been determined. The same standard must apply to time bars on any respective civil proceedings. 2.b.How does the Supreme Court interpret the phrase “the broadest possible amnesty” as it appears in P II, Art. 6 (5)? How does the Supreme Court reconcile the requirements of P II, Art. 6 (5) with the conflicting obligations upon El Salvador arising from other rules of international law or its Constitution?